Be careful what you wish for... your wishes may come true! I want to know what people are really longing for and what their deepest desires are, what are the things that motivate them. A Blog with interviews, texts, photos, drawings, songs, thoughts, quotes, etc ... The project is visible since the beginning at this blog. Part of the text has been published in book form and the project will be shown as a video installation. 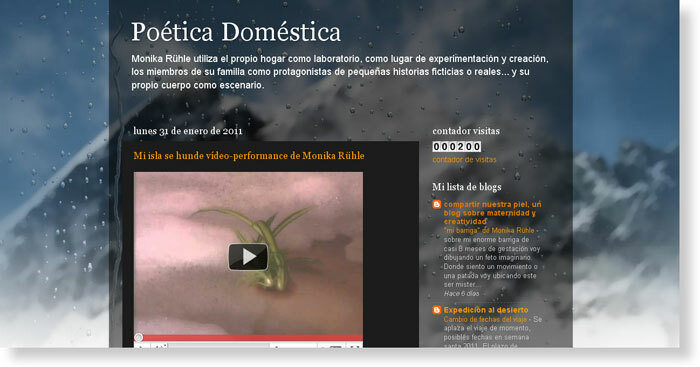 A range of video performances, short films and daily scenes from my personal and family life. tMonika Rühle is a visual artist and she publishes her artistic activity, projects and reflections here. 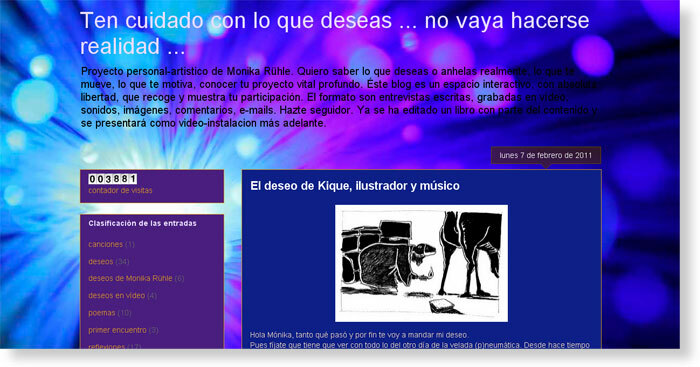 This blog is born with the intention of unifying and presenting her current projects and already realized activities. Will you come with me to the desert? Our idea is to document the entire process, from the beginning to the end: the selection of persons who want to be part of the expedition, the preparations and the expedition itself. 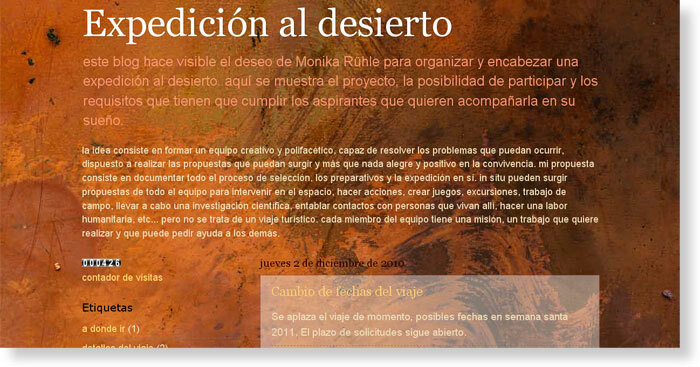 The idea is to get together a creative team, a multidisciplinary group of people, which can solve all possible problems. On site, in the desert, new projects can take place where everyone can be involved in carrying them out through performances, games, trips, scientific research or even a humanitarian action. It’s not just a pleasure trip. Each member of the team will have a mission, her or his own project, where collaboration from other members will be necessary and hence, a sense of group identity should arise. Video portraits of unknown, but exceptional women. The result: a tribute to the wonderful women I meet in my life. Video interviews. A documentary film project. Blog dedicated to think about motherhood and creativity. It makes visible the process of creating a documentary video based on interviews with 5 artists from various fields who are also mothers: the choreographer La Ribot, the performer Nieves Correa, the singer Maite Dono, the actress Beatriz Argüello and the dancer Estefanía Morante. 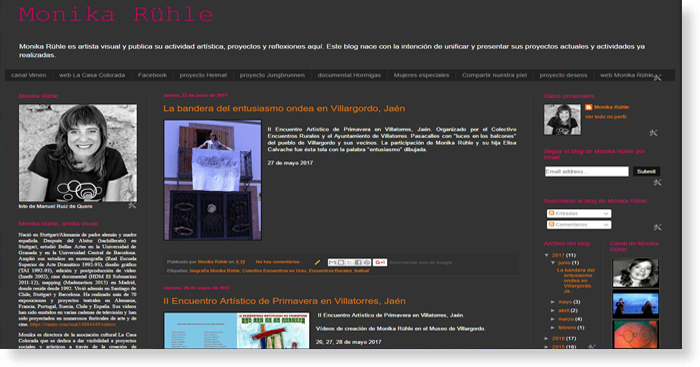 site where you can see the scheduled activities, courses and workshops of the Cultural Association The Red House in Moralzarzal (Madrid).